Synopsis: Plain-faced Fanny Brice rises to stardom on the New York Vaudeville Stage and maintains a turbulent marriage with suave gambler Nick Arnstein. Did You Know? Barbra Streisand tied for Best Actress in a Leading Role with Katharine Hepburn for The Lion in Winter, marking the first (and, so far, only) tie in this category, and the second tie in any acting category. I had no idea that Fanny Brice was a real person. I wonder if she was really as impetuous, self-aggrandizing, and simultaneously self-deprecating as Barbra Streisand portrayed her. Rachel Berry – I mean – Fanny Brice wants to be a star, but her mother and the little old biddies at her mother’s saloon constantly remind her what a plain Jane she is. She’ll do anything she can to not only get on-stage but also to be the star of the show, even if it means stepping on every other actor on-stage with her (which she does). As soon as a man shows the slightest bit of interest in her, however, she abandons her dreams of fame and stardom to be with him, and again screws over all of her co-stars and the Great Ziegfeld, himself, in the process. 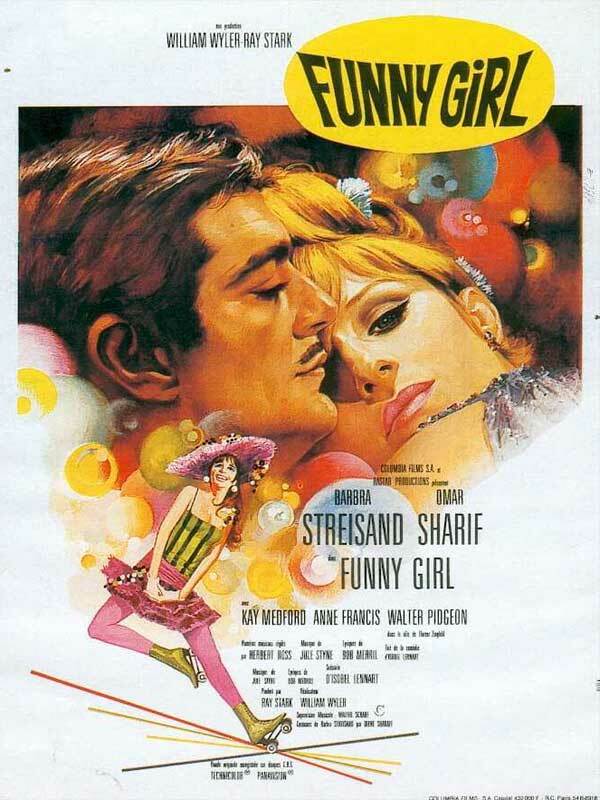 Though, to be fair, I’d probably drop everything if Omar Sharif wanted to whisk me off to New York and marry me. Have you seen that head of hair and that strong brow?